Welcome To The RYLA Home Page! Photos from 2019 and previous years can be found through the links on the left. 2020 Dates will be announced soon. RYLA is held annually at Pineywoods Baptist Encampment, Woodlake, Texas. Cold Weather clothing is ESSENTIAL! sponsor High School Juniors in your area with a scholarship to attend RYLA. connect with youth through experiential learning activities. transform youth perspectives through exposure to the 4-Way Test and ethical standards promoted by Rotarians. inspire youth to accomplish goals through teamwork. volunteer to serve at the RYLA camp (ropes course, food, logistics, activity guides, and more). 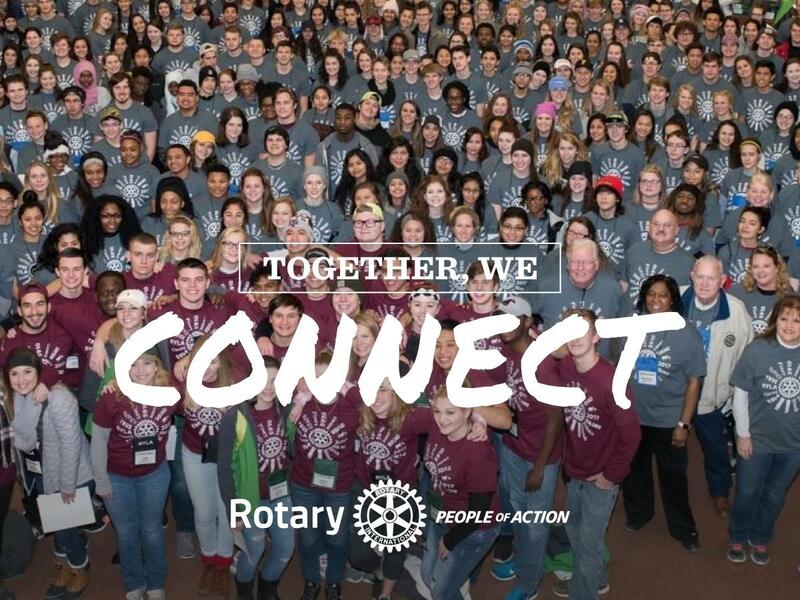 Connect with your local Rotary Club to learn more about the RYLA application process in your hometown. 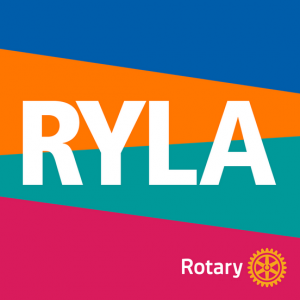 A Rotary Youth Leadership Award (RYLA) is a scholarship provided by a local Rotary Club. RYLA camps hosted by Rotary districts are designed to encourage and train students in leadership, citizenship, and personal growth. recognize young people who are rendering admirable service to their communities. Here are some if the great comments from the evaluation surveys filled out by RYLA participants. This camp really surprised me. It was a lot more fun than I assumed it was going to be. Thank you for making this one of the best weekends of my life! I was really impressed with all the enthusiasm from everybody throughout the entire experience. Keep on doing what y’all are doing, This is great, it really got me and people I know out of their shells and better leaders. Coming into RYLA my attitude towards things was sort of negative, but meeting new people and hearing the presentations completely changed my perspective on things. I really enjoyed myself and hopefully I can keep Rotary in my future. I love this camp. It’s the most amazing experience I’ve had my entire life. RYLA was such an amazing experience for me. I improved my leadership skills, gained new friends, and created memories that will last a lifetime! It would be an honor to come back! I enjoyed RYLA so very much, I don’t think it could have been any better. The people and experience were quite amazing, making everyone feel comfortable. I am really grateful for this experience. One of the best weekends of my life. So grateful for the experience and looking forward to taking what I learned back to school. I really like how everyone already understands communication, and WANTS to learn. All the Rotarians were so helpful in ensuring we had everything we needed, and making us feel welcome. The counselors were so hyped and energetic but also had leadership qualities in directing the kids. The counselors were awesome. They took every possibility to encourage and excite the participants. RYLA has literally changed me! This has been an awesome experience I will never forget! It has showed me the meaning of being a leader with the 4 Way Test & service above self! This camp is truly amazing and everyone should be able to experience it! This was the best weekend of my life! Thank y’all from the bottom of my heart! Y’all are AWESOME. This was by far the best experience I’ve ever had in my LIFE! I would kill to come back and I really don’t want to say goodbye! I learned so much and made great new friends. I loved how everyone was sweet and accepting. I loved the experience this brought. This was without a doubt the best weekend of my life. I hope to go out and make a difference in the world and keep life-long friends. This was an awesome experience. So impressed y’all were able to organize us into different groups every time - I was never with someone from my school - and loved that. Thank you for this! Great energy & people. One of the best workshops I’ve ever been to. RYLA is amazing, great people, and they make you believe that you are as awesome as they are. They make us feel good and motivated. I didn’t know what to expect when I first came here. But I loved the energy and the chants and especially the counselors. The whole experience was so inspiring and amazing and I’m so thankful to have been afforded this opportunity. I loved meeting so many new people and experiencing new things. I faced a fear that I could not have conquered without the support of all my peers and superiors. It was really great to still be included even though I was injured. This experience has seriously changed my life and has improved my communication and social skills. I also, got to meet plenty of new people. I was overwhelmed by the humility and good personalities. Such a great experience. All of the events combined were a perfect way to improve every aspect of my leadership skills. Great experience. An awesome organization. Thanks for giving time to students. It helps us grow a lot and learn to count on each other. It’s such an impactful weekend for all of us and I’m so glad I could experience it with such a great group of people. I had so much fun and learned so many things that will help me in being a leader. I will never forget this weekend. Had the most amazing time ever. Best thing I have ever been too. One of the greatest experiences of my life. I enjoyed the weekend a lot. I can’t wait to go back to school and apply what I have learned.